...MY LOVE OF PHOTOGRAPHY began early in my life, when I first realized how thrilling it can be to create, capture, and then share unique combinations of light, time, and place. Since that discovery I have devoted my life to photography — both as a passion and as a career. I received my first advanced photographic training at the Southeast Center for Photographic Studies, an internationally recognized division of Daytona State College, in Daytona Beach, Florida. In my four years there, I achieved an Associate of Science degree in Photographic Technologies and, separately, an Associate of Arts degree in Culture and Aesthetics. Also while in Daytona I worked nearly full-time as a technician in a very busy photo lab that specialized in services for the area's top professional photographers. I loved the job because it gave me 'real world' practical knowledge about the photography industry. To further develop my appreciation of photography, and of the arts in general, I finished college at Florida Atlantic University, in Boca Raton, where I earned a Bachelor of Fine Arts degree. After college I returned to my hometown, Sarasota, where I became employed for several years as the full-time assistant to one of the area's most well-known professional photographers. 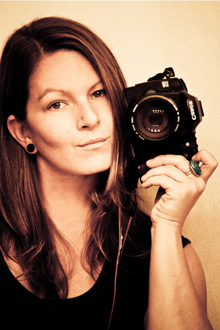 In January of 2010, I launched my own business — Kathryn Brass Photography. Thank you for taking the time to look over my website. Please feel free to contact me about pricing and availability.